Love this one! 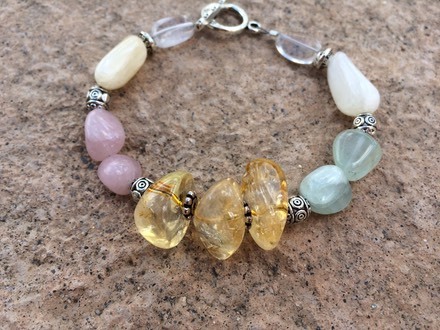 Gorgeous pastel gemstone bracelet. Focal beads are Citrine nuggets. 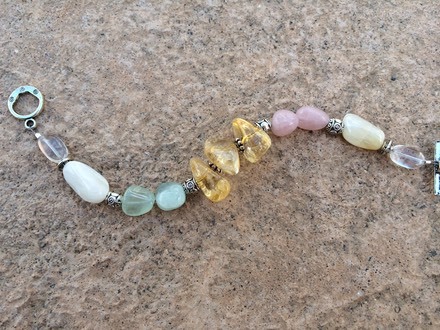 Surrounded by pink Rose Quartz, and blue Aquamarine. Also includes Calcite and smokey quartz. Toggle clasp. Pewter components. 7" length.